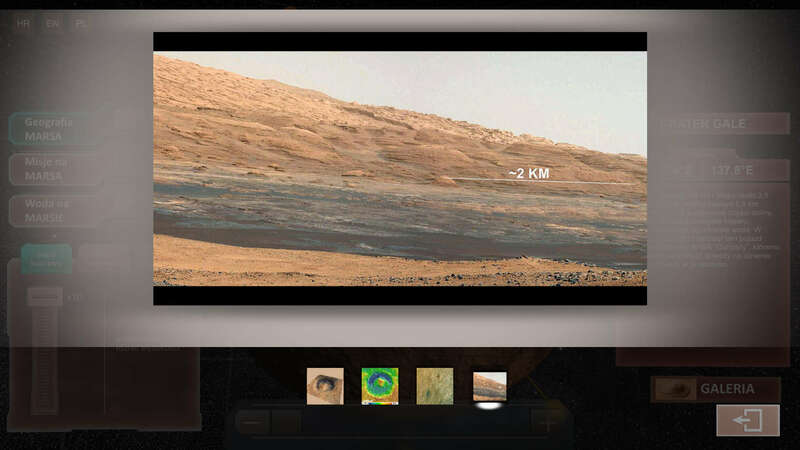 This is the page where you can browse our projects. 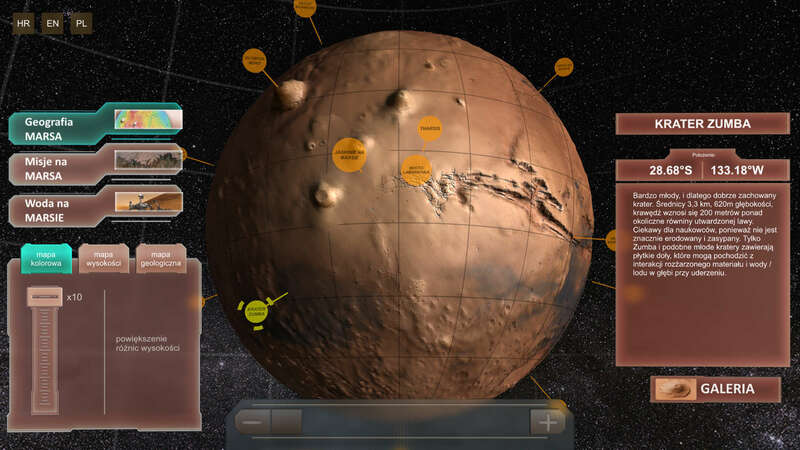 As we fill this page we will provide links to individual project homepages that contain short descriptions, screenshots, required hardware and software specifications as well as download links and installation instructions. 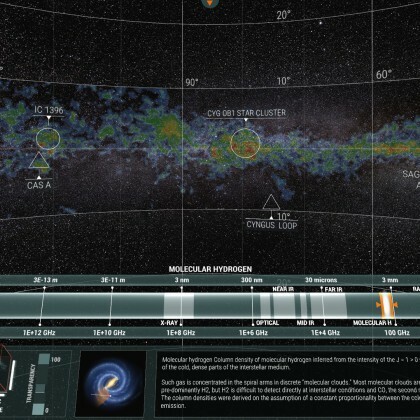 In space there is always more than meets the eye – quite literally. 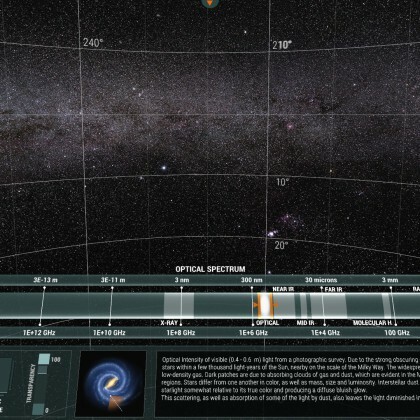 Visible light makes just a small fraction of the electromagnetic spectrum. 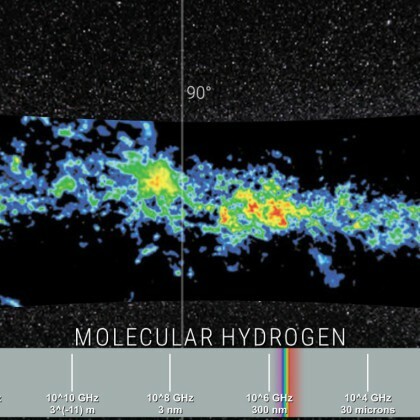 The part we can’t see with our eyes tell us amazing stories of space dust and gas; creation of stars, planets and entire systems. 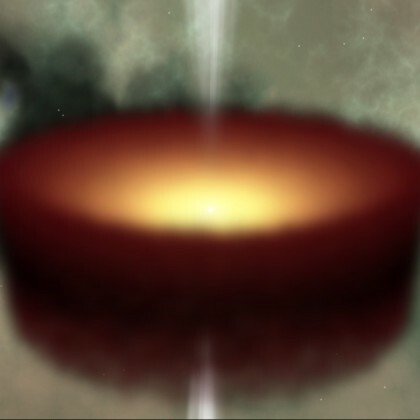 Thanks to our advanced satellites and telescopes, we can watch those stories unraveling in many interesting and insightful ways. 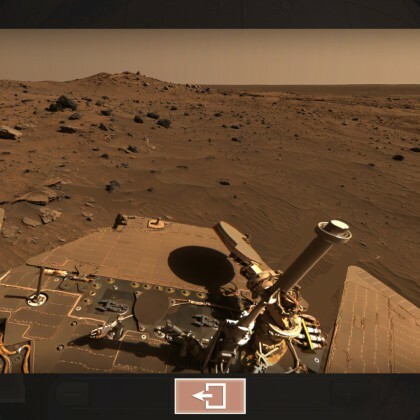 Thanks to advanced graphic technologies of our home computers, we can present you those stories in never before seen way. 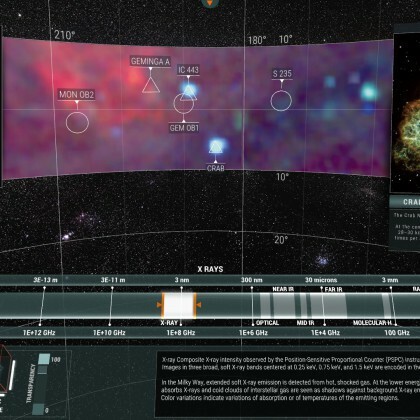 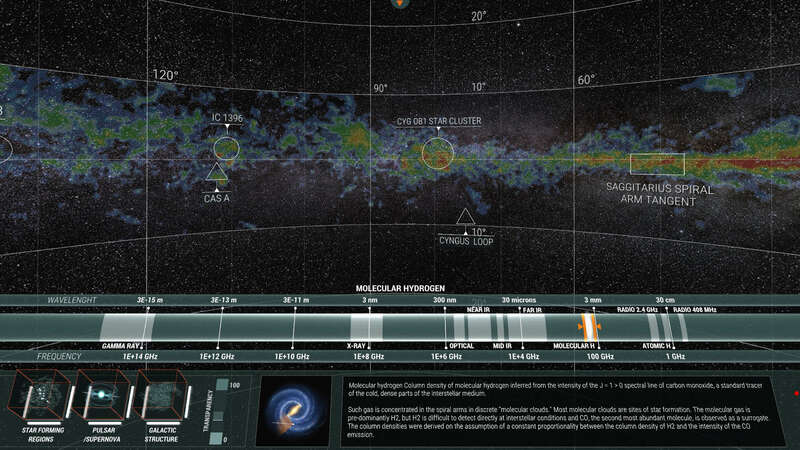 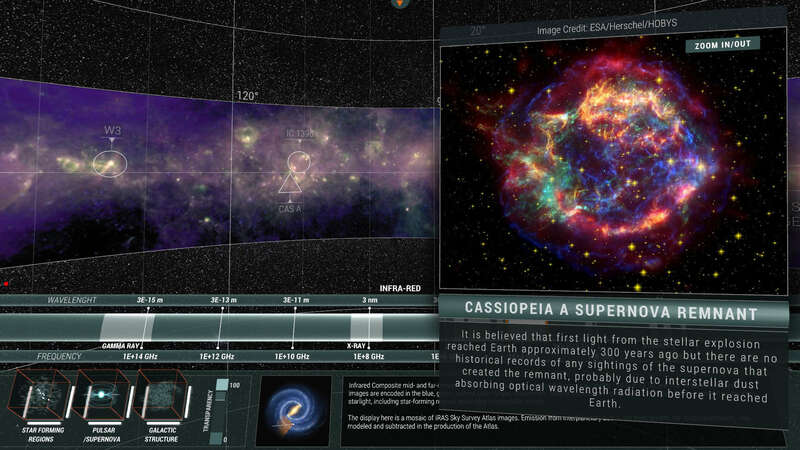 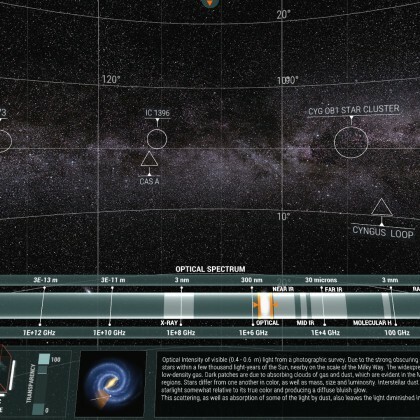 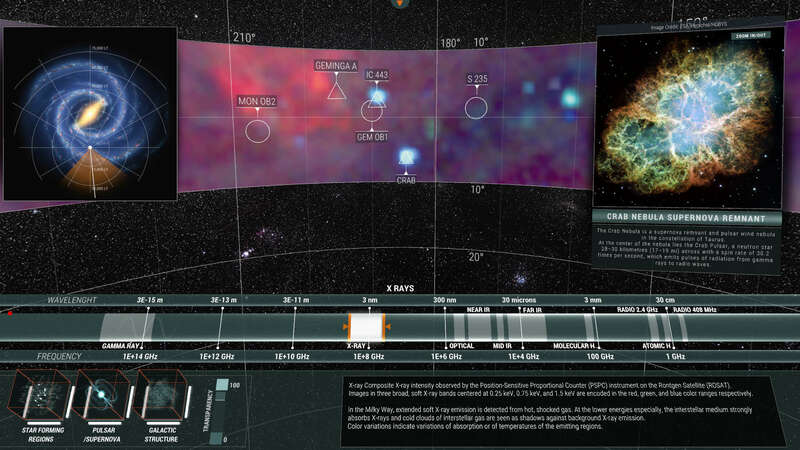 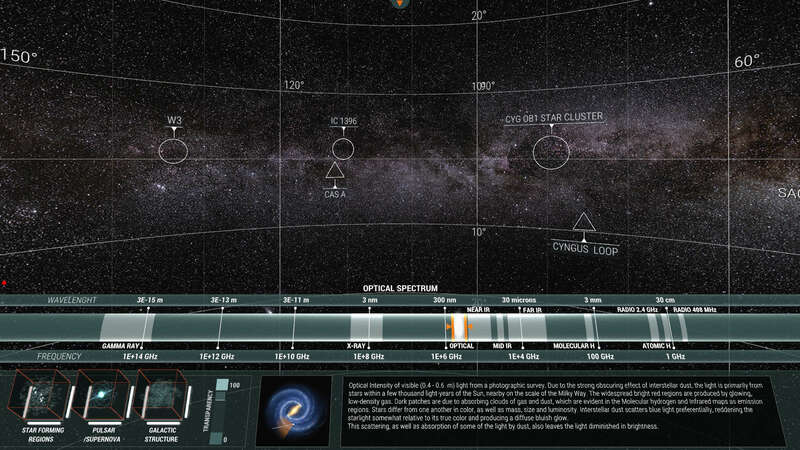 Based on the ‘Multiwavelength Milky Way’ poster by NASA this interactive map of our galaxy lets you explore it’s many secrets hidden across vast electromagnetic spectrum: star forming regions, ionized gas clouds, supernova remnants and neutron stars. 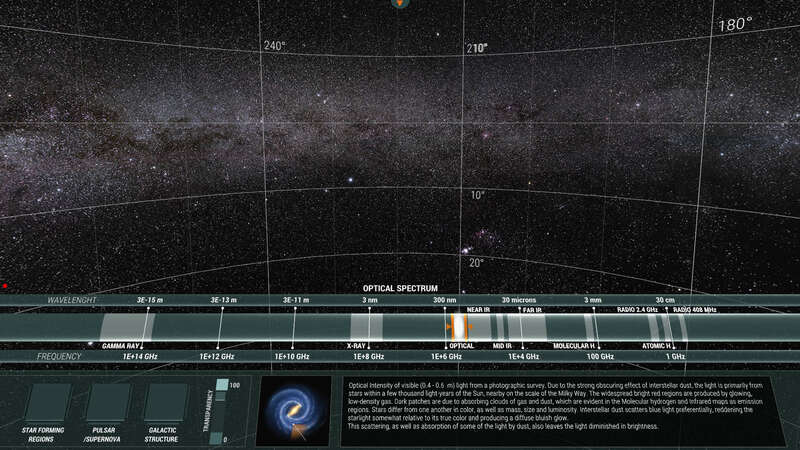 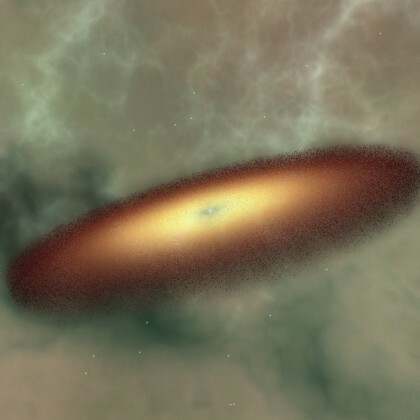 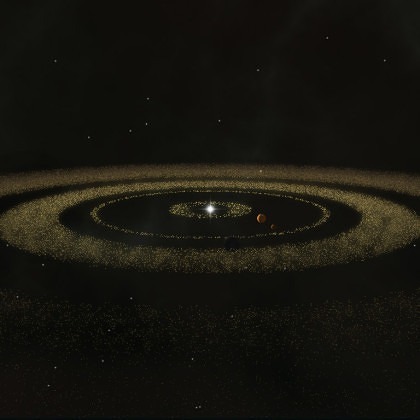 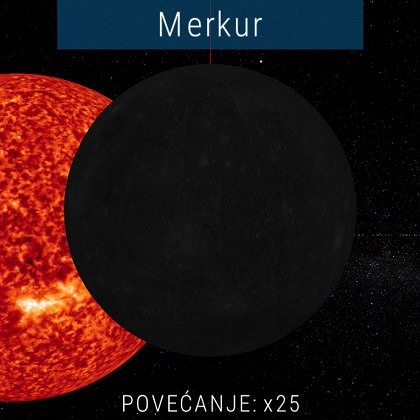 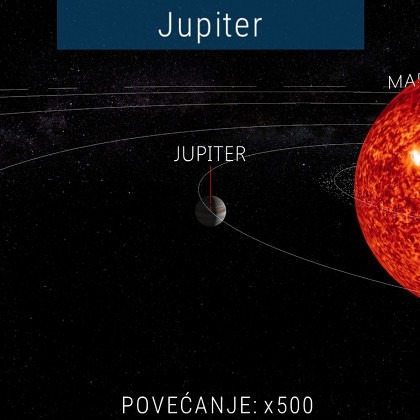 The images in this presentation are derived from several space and ground-based surveys, many of which are available through the Astrophysics Data Facility and the Astronomical Data Center at NASA’s Goddard Space Flight Center. 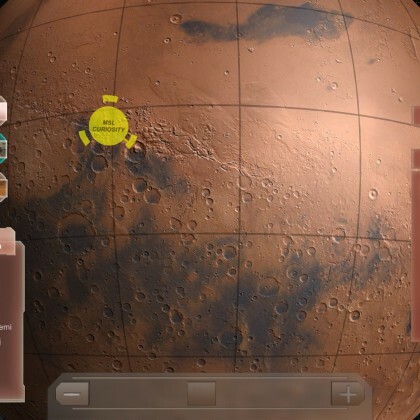 The Red Planet, Earth’s cousin is probably the first step in our colonization of the solar system. 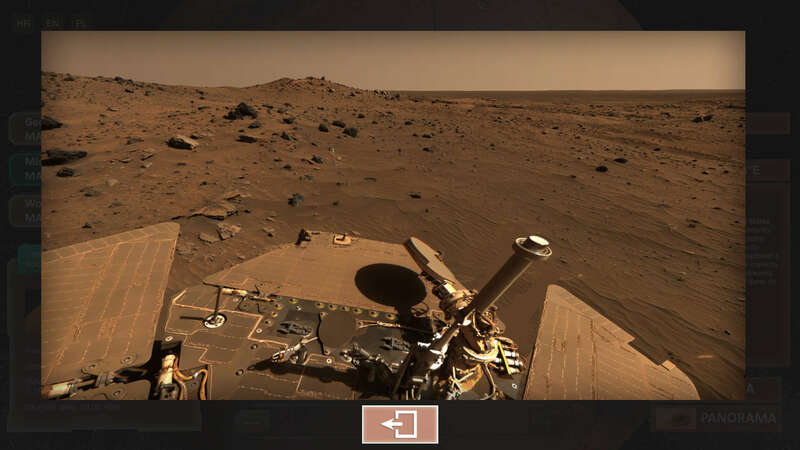 This rough but fascinating world has been the target of many unmanned missions for the past four decades. 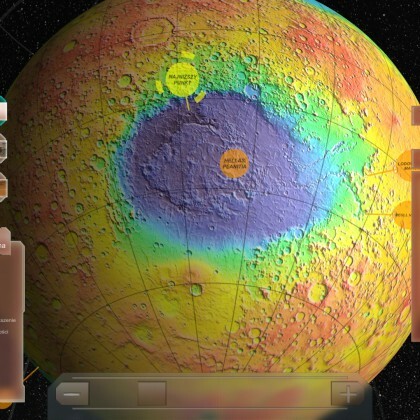 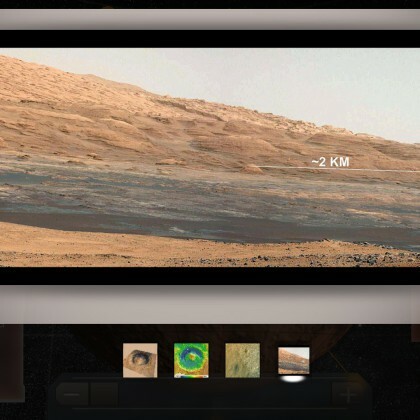 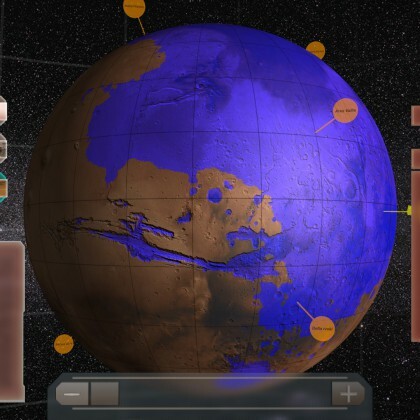 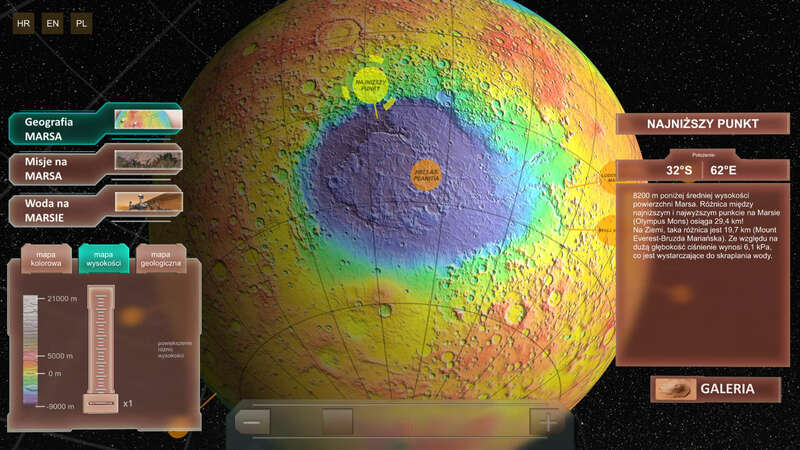 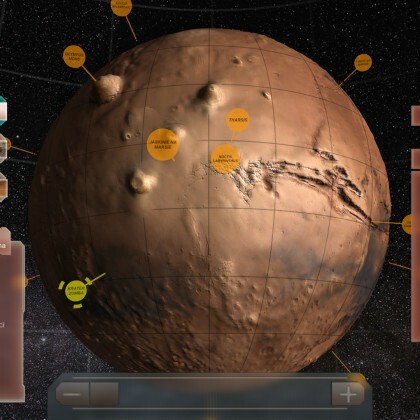 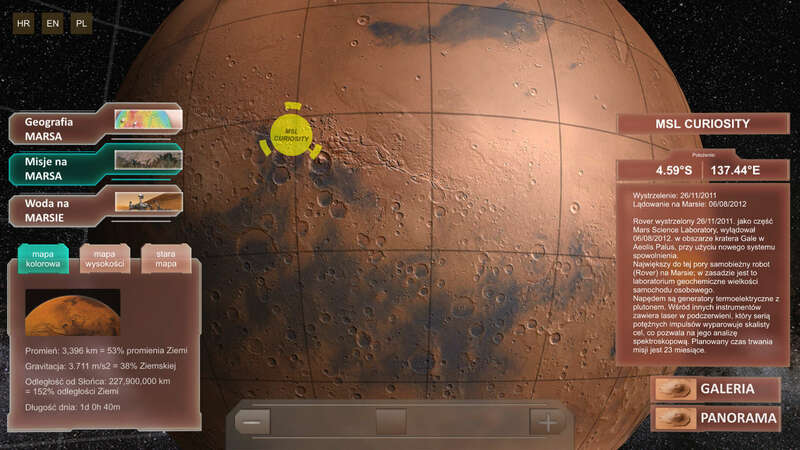 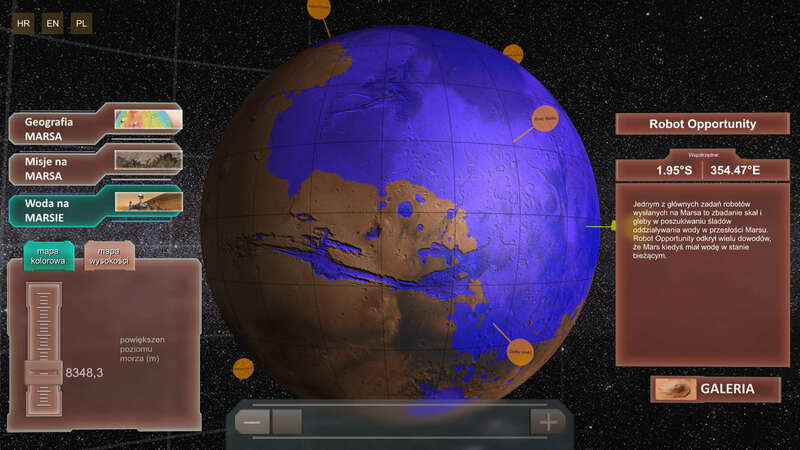 ‘Interactive Mars’ is a digital globe that lets user explore many interesting places on Mars – divided among three categories: geography of Mars, missions on Mars and water on Mars. 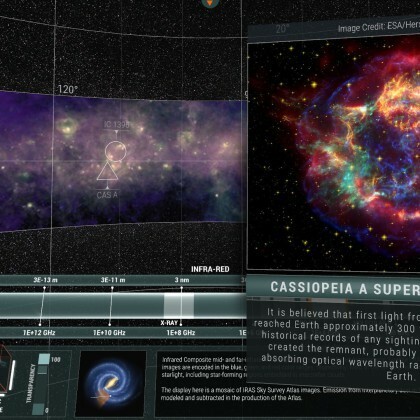 Each point of interest has its gallery, interactive widgets and even full interactive 360 degree panoramas.